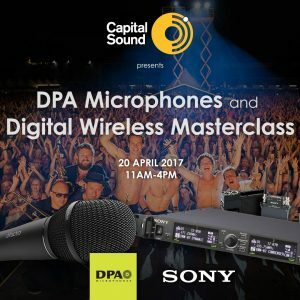 Join us for a microphone technology and digital wireless workshop day at Capital sound on the 20th April 2017. The workshops provide a great opportunity to further your professional sound knowledge in the live and corporate spheres mainly, though the science behind it is applicable to all areas of the professional audio industry using microphones or wireless technology. Free with registration. Registration is now closed.